FIS-ASP is your full service IT service provider with more than 25 years of know-how in one of the world’s most dynamically growing markets. Across all industries, companies are confronted with digital change and a confusing variety of technologies. Cloud and SAP HANA, SAP Cloud Hosting, Internet of Things (IoT) and OpenStack – we are specialized in these new topics and deliver the right concepts. For its customers, FIS-ASP is the reliable guide to individual IT outsourcing processes. Profitability, creative flexibility and IT performance are the most important factors here. We attach great importance to ensuring that the right technology is used at the right time. In doing so, we pay particular attention to what you actually need for the implementation of your IT requirements today and in the future. FIS-ASP guarantees its customers more IT performance, higher quality and stability in IT operations as well as flexibility in changing your IT infrastructure or business processes. Only those who know their risks can control an emergency. In order to prevent an incident from becoming an emergency, a well-established business continuity management is required. The demands on ITC systems are becoming increasingly complex, both in terms of operational, data protection and data security as well as in terms of availability. Mastering these demands requires a sophisticated balance between technical and organizational measures and compliance with legal requirements. IT departments of medium-sized companies are often overwhelmed with achieving this balance. By entrusting us with your IT, you can be sure that it is in safe and experienced hands with us and that you can concentrate on your core competence. On January 01, 2001, FIS GmbH founded the FIS-ASP Application Service Providing und IT-Outsourcing GmbH subsidiary. FIS-ASP GmbH is a service provider for application hosting, outsourcing as well as outtasking for industry, trade and service companies. FIS GmbH, in connection with its subsidiary FIS-ASP GmbH, is one of the few full service providers for SAP applications. FIS-ASP GmbH sees itself as an independent and neutral service company with focus on action in Europe, which is active in the area of application service providing, application hosting, outsourcing and outtasking for industry, trade and service companies. The company is based in Grafenrheinfeld near Schweinfurt in Lower Franconia. The data centers are located in Germany. The campus data centers are complemented by remote location options. A glass fiber ring connects us to our backup data center at a distance of about 20 kilometers. Our main focus is on the qualification of our employees; we constantly invest a high proportion of our turnover in training and further education. Our consultants are certified by the SAP Partner Academy as application consultants or technical consultants and always keep themselves up to date through further training. FIS-ASP is certified by SAP for hosting and HANA hosting. A POWERFUL IT INFRASTRUCTURE ARE OUR INCENTIVE. Our employees have been certified as application, development or technical consultants by the SAP Partner Academy and make sure that their skills are always up-to-date. All certifications are renewed regularly (TC certifications, migration certifications, MSCE….). Since 2001, FIS-ASP has been certified according to DIN EN ISO 9001, ISO27001 and ISAE 3402. Besides, the FIS group has been a long-term partner of SAP AG, Walldorf, which shows that our products and services comply with the strict quality guidelines of SAP AG. Our customers are the driving force behind anything we do. Their satisfaction is our top priority. Our customers are our partners and we learn from them continuously. Their suggestions, requirements and requests are the basis for our innovation ambitions. We are a “one-stop provider” in our vertical industry segments. The pillars of our corporate philosophy are practical expertise and success orientation based on our customers’ aims. Reliability and competence characterize our business. Our services and products are offered at a fair value for money. Our success strongly depends on our employees. This is why they are of paramount significance to our company. Respect, openness, sincerity and team spirit characterize our mutual relations. We stand for equality and against any kind of discrimination. Each employee is an ambassador of the FIS Group. We promote the personal and professional development of our employees by comprehensive training programs. Our employees benefit from modern infrastructures and safe technologies and work according to efficient and structured methodology. We see ourselves as integral part of society and are committed to it. Our use of existing resources carries a high degree of responsibility. We use and prefer green energies. We continuously improve the environmental impact of our company. We support non-profit, social and cultural concerns and initiatives. We guarantee the protection of private and confidential data. We pursue a sustainable and growth-oriented business model and stand for value-oriented activities. As an IT solution provider, we offer outsourcing, out-tasking and technical consulting to customers from all industries. We take calculable risks and only deal in areas in which we are competent and experienced. We are for fair competition and against corruption. A continuous improvement process accompanies the permanent development of our internal organization, business processes and our service and product range. We guarantee our customers this quality for the entire life cycles of our products and services. Note: In the text, male and female customers and employees are referred to as “customers” and “employees”. Upon request, our consultants are available for you around the clock to ensure that your business runs purposefully and smoothly. They are specially trained to meet the requirements of modern IT operations (operating systems, databases, networks and security). FIS-ASP focuses on the operation of SAP solutions and full service solutions for the back office business. A large part of our staff is certified by SAP AG or Microsoft. On behalf of our entire team, we would like to briefly introduce you our management team. After his engineering studies, Robert Schuhmann started his professional career at F. Kirchhoff in Stuttgart in 1988. In 1991, he moved to the IT department of FAG Kugelfischer KGaA in Schweinfurt. 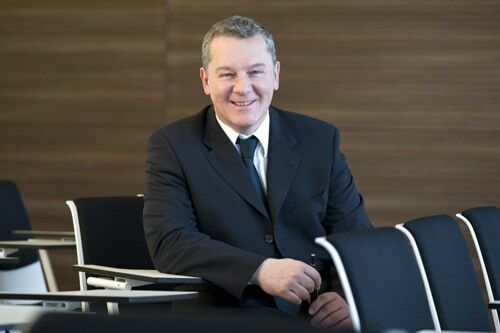 With the spin-off from FAG, Robert Schuhmann became part of the young company FIS GmbH. He held several positions and assumed leadership responsibility in the product development, warehouse management and SAP architecture consulting fields. 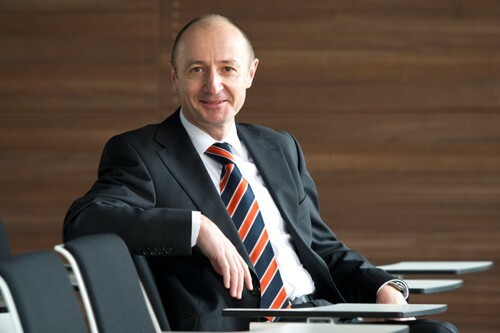 As a proxy, Mr. Schuhmann was lastly responsible for the entire SAP consulting area until he was appointed managing director of FIS-ASP in 2009. Since 2008, Robert Schuhmann has also been managing director of the Polish subsidiary FIS-SST Sp. z o.o. based in Gliwice and Opole, which focuses on nearshoring and Java developments. Mr. Schuhmann is actively engaged in voluntary work at IHK Würzburg-Schweinfurt (Chamber of Commerce and Industry Würzburg-Schweinfurt) and member of the executive board at bayme Unterfranken (Bavarian Employers’ Associations for the Metalworking and Electrical Industry in Lower Franconia). After his business training, Jürgen Springer served in the German army for eight years. For many years, he was primarily active there as a trainer and lastly as an organizer of the service process of a unit. During his period of service, he completed his second level of education with a technical baccalaureate (Telekolleg) and then studied computer science at the University of Applied Sciences in Würzburg. In 1997, Jürgen Springer started his career at FIS GmbH as graduating student. After he had been taken over, he was responsible for network and security. In the same year, he completed his training as an SAP technical consultant and assumed basic SAP support for various customer projects. Since the foundation of FIS-ASP GmbH in 2001, Mr. Springer has been working in the areas of Network / Security, SAP basic operation and as deputy data center manager. In 2004, he assumed leadership responsibility as team leader and was responsible for all technical teams from 2011 to 2013 as head of department. Due to the company’s growth, the division was split in January 2014 and Mr. Springer is now head of the Technical Services department. Bernd Bätz, born in 1964, studied informatics with economics as a minor subject at the Technical University of Munich (TUM). After receiving his diploma in 1988, he started his professional career as a SINIX/BS2000 system developer at Siemens Nixdorf in Munich. In 1992, he joined KAESER Kompressoren GmbH in Coburg. As a UNIX specialist, he was responsible for the SAP R/3 implementation in the SAP Basis environment throughout the company. 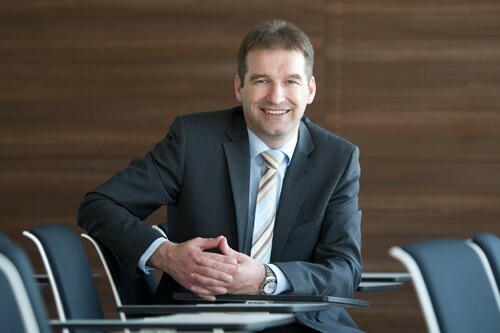 As of 1999, Mr. Bätz worked as head of SAP Basis at Brose Fahrzeugteile GmbH & Co. KG and, as of 2006, as head of the Data Center Technology department for the central IT infrastructure of the Brose Group. In 2011, Bernd Bätz started his career as team leader SAP at FIS-ASP in Grafenrheinfeld, where he was responsible for SAP Hosting and Outtasking Services in the technical services area. Since July 01, 2016, Mr. Bätz has been responsible for comprehensive technical issues as head of the Comprehensive Services department. Matthias Braun studied electrical engineering with the focus on information technology at the University of Applied Sciences in Würzburg / Schweinfurt. 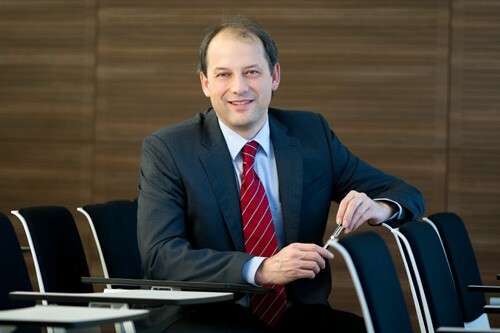 After his graduation in 1996, he started his career at the servicedesk at T-Systems in Bamberg. In 1997, he joined IBM Business Services in Schweinfurt as an SAP system administrator for AIX / RS6000. He was responsible for the company-wide changeover from SAP R/2 to SAP R/3 in the SAP Basis environment as well as for three international customers as SAP Basis team leader. Since October 01, 2005, Matthias Braun has been working for FIS-ASP GmbH (Grafenrheinfeld) in the SAP Hosting and Outtasking Services field. In 2008, he assumed leadership responsibility as a team leader. On January 01, 2014, he was appointed head of the Delivery SAP department and has been responsible for the application operation ever since. Do not hesitate to send us a short e-mail with your request. We offer you positions with challenges and growth opportunities in an attractive environment.